Rep the new logo! Students should bring their receipt to Ms. Jurewicz in Room 70 to pickup your purchase. Also available for purchase at Cafecito at JAMS on Friday’s! Derek is the creative director at ISM [iz-uh m], a creative services agency based in Santa Monica, CA. AstroCamp tickets now available for purchase. Please visit the AstroCamp page for more info. Sales are now closed. Reach out to Ms. Levin for instructions on making any remaining payments. For information about the trip please visit our Catalina Trip page. 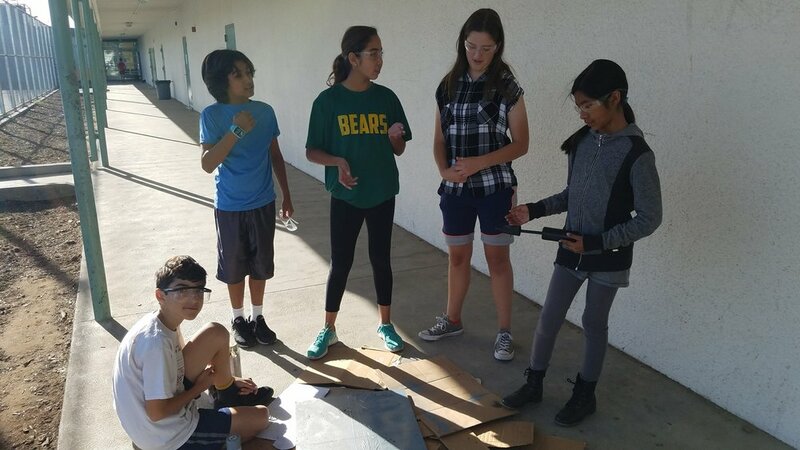 The sixth grade science classes have the opportunity to attend the Catalina Island Marine Institute the weekend of October 26 - 28, 2018. 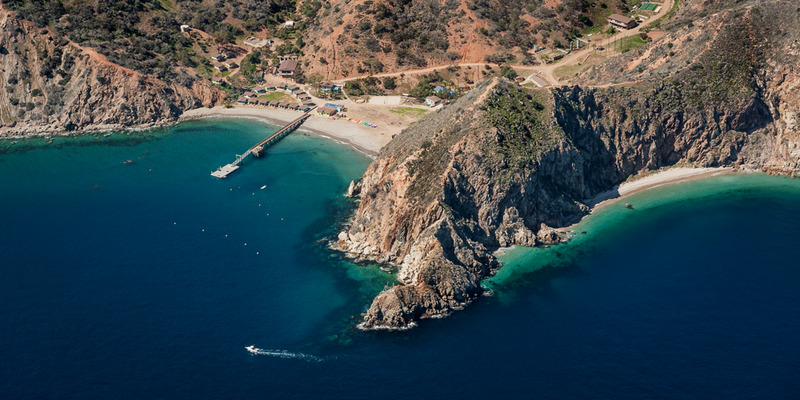 The Catalina Island Marine Institute is a science camp located in Toyon Bay on Catalina Island. Programs at the camp include snorkeling, island hikes, oceanography, marine biology, and various other field activities. Each group is lead by a trained CIMI instructor and assisted by a school chaperone. Spaces are limited! To reserve a space, sign up and pay online with a deposit, partial deposit, or a full payment. The full amount is due 10/12. For students in need, we offer partial scholarships or payment plans. Magnet requirements will be discussed in class and any questions should be directed to your childs teacher. 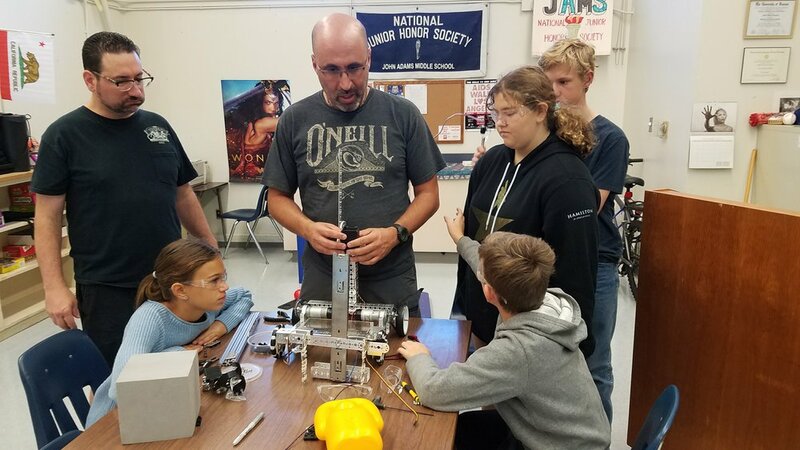 After another successful year, the RoboVikings are seeking 7th and 8th graders for the 2018-2019 First Tech Challenge season. No experience is necessary to join, and there are a variety of roles for team participants: building, 3D design, coding, marketing, fundraising and team organization. A serious commitment is expected, with team meetings Fridays after school from 3pm - 5pm and most Saturday mornings from 8:30am - 11:00am, along with additional potential practices as the team heads into competition season (December 2018 - Spring 2019, depending on how far the team advances). If you are an incoming 7th or 8th grader with interest in joining the team, please fill out the application form below. Once you have decided which seminars you'd like to sign up for, use the link for the Round 1 Seminars Signup Form to signup online. You will have until this Friday to signup or until full, after which the online signup window will close and students will then have to sign up in person for any seminars with space left. 6th grade families, we appreciate your enthusiasm! 6th grade students who received credit for coming to the Science Camp two weeks ago will NOT be put into a seminar most likely until the new year. Summer Institute students already have 2 credits and are ahead of the game. 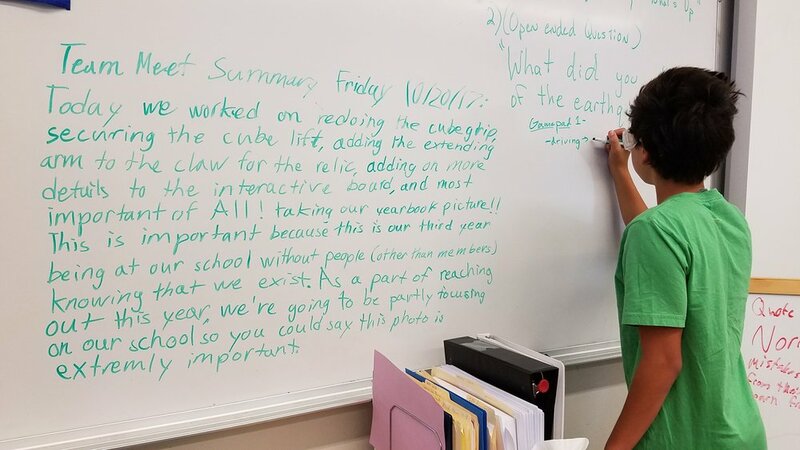 7th & 8th Grade Summer Institute begins tomorrow, and we look forward to seeing you there. Students should arrive a little early on their first day to find their schedules. Class assignments will be posted outside of room 72. 7th Graders - A 3 ring binder with 5 dividers, paper, and pencils. 8th Graders - A pencil. Lunch is included on the days that students are at JAMS, but is not included when the students are out on field trips. Students are welcome to bring their own meals if desired. Lunch is served at 11:54. All lunches include Salad as well as Apples, Granola Bars and Fruit Roll-Ups as snacks. Water is available as well. Incoming 8th graders will go on a field trip to the Science Center on Wednesday, August 15th from 8:30-2:30. Incoming 7th graders will go on a field trip to the LA Zoo on Thursday, August 16 from 8:30-2:30. Students need to bring a lunch and refillable water bottle with them. Food is NOT provided on the trips. Chaperone spots have all been filled, thank you to everyone for signing up! Thank you to everyone for signing up to volunteer to help serve lunch. We still have space available. These are short 11:30-12:45PM shiftsin the JAMS courtyard by the student store. We are currently short-handed for tomorrow so please help if you can. We are currently looking for volunteers to help setup/breakdown and serve lunch during the 6th Grade JAMS Summer Science Institute. These are 11:45am-1:00pm shifts, on August 9th-10th in the JAMS courtyard by the cafeteria. It's that time again to get together and celebrate another great year at JAMS with the Science Magnet. We'll have special honors for the Samohi Science Magnet Scholarship recipients, recognition to our teachers and admin, and a number of science experiments and displays including our RoboVikings! Pizza and Pasta will be served for dinner and of course we will have our traditional Ice Cream Dessert. Please sign up below to help set up, serve food or clean up. reDiscover Center is an arts and environmental nonprofit promoting resource conservation, creativity, and community engagement through material reuse and tinkering. Learn more. The 2018 Summer Institute is now on sale for incoming 6th Graders. Yosemite Trip is on as planned! The trip is on as planned and has been confirmed by Mr. Richardson this morning. An update on the potential government shutdown and its impact on programming from NatureBridge. If a government shutdown occurs, we have confirmed with the National Park Service that NatureBridge programs will be allowed to continue as planned. While NatureBridge programs will continue largely uninterrupted, we appreciate your flexibility as our teams navigate the unknown potential parkwide impacts of a shutdown. All of us at NatureBridge remain extremely optimistic, and as always we are eager to share the magic of Yosemite with your students and staff. Busses will arrive at JAMS on Pearl St.
where the buses will be parking. Busses will return at JAMS on Pearl St. Wear comfortable clothes. Hiking gear is not necessary. Have some warm clothes (i.e. jacket, hats, gloves) in your backpack. When we get off the bus in Yosemite it will be cold. You will have to stand outside for some time waiting for instructions and for your keys. You will not be hiking as soon as you get off the bus. However, you may have a night hike on our arrival day after dinner. Students will have time to change into appropriate attire. If student experiences motion sickness, please indicate on the medication form that they can take Dramamine. Absolutely no student cell phones or texting/emailing devices are allowed. Students are allowed to bring a camera as long as it is not part of another device that can make calls or text. Gameboys and mp3 players with no internet/game capability are okay on the bus only. If they are being used outside of the bus they will be confiscated. It is a good idea to put your name on everything you bring. In Yosemite Valley, students will be staying at Half Dome Village. There will be 4 students to a tent. Students will need a sleeping bag and pillow. Bathroom facilities are centrally located near the tents in Curry Village. Students will have time to shower during their breaks (i.e. before dinner or before breakfast). Students will not be permitted to walk around with wet hair. We suggest you bring a shower cap or hair tie to keep your hair dry in the shower. Students will be eating in the mess hall (cafeteria style) at Half Dome Village. Please note any special dietary needs on the medical forms: vegetarian, allergies, etc. A normal school backpack (NO side satchels please) that has been made water resistant (w/ Scotch Guard or water resistant product) is adequate. Students need enough room for a small journal (provided, but bring a gallon zip lock bag for it), pencils (no pens please….they freeze), water (2 reusable water bottles – 24oz. minimum), camera (optional), hats/gloves, sunscreen, sunglasses, flashlight w/ batteries, small snacks (for bus ride – NO CANDY), few hand wipes, trash bag (we leave no trace), bandana (crumb catcher), warm jacket, and wallet (for lunches to and from Yosemite). Please do not pack using garbage bags. They tear easily. If your suitcase/duffel is not waterproof, you may want to line it with a garbage bag to keep everything dry. Spraying your suitcase with water resistant products may also be helpful. Remember: you carry what you bring. Only bring what is absolutely necessary! All students must hand their chaperone any medications they are bringing to Yosemite. All medication needs to be in its original container and placed in a plastic zip-lock bag with instructions explaining when and how to dispense the medication on the “Medication Information Form”. You should also mark/list any over the counter medications your child has permission to take in the event of injury or illness on this form. The form must be signed at the bottom giving permission to chaperones/teachers to dispense medication to your child. If a student has an inhaler for asthma or an Epipen, they keep those with them. These should be noted on the medication form. We will give Dramamine to them before we get to the mountainous part of the ride to and from Yosemite. A full-service outpatient medical facility is located in Yosemite Valley. A car (with chains) is available to transport any student or chaperone to the clinic if needed. An extensive first aid kit is available at this site as well. Cell phone and regular phones are available for emergency use. All NatureBridge educators have Wilderness First Responder certification and a “passion about teaching, youth, and the environment. The field science educators, along with support from attending chaperones, supervise children in groups during the day. Attending chaperones -- parents, teachers, and school administrators -- are responsible for participant safety and security at all times but especially during non-programming times in the shared public areas of Yosemite Valley (between 4:00 and 7:00 p.m. (recreation time and dinner), and between 8:45 p.m. and 8:30 a.m. (after evening program to morning meeting). If there is a medical emergency in the field, our field educators at the scene will administer appropriate medical care until professional medics arrive. They are able to use their cell phones to dial 911 from most areas in the park in case of life-threatening emergencies; National Park Service staff will respond. There is a medical clinic in Yosemite Valley. The clinic staff treat minor injuries and illnesses; anything more severe requires the patient be transported to an area hospital. Registration and medical forms for all participants are kept on file at the clinic. Parent or guardians listed as emergency contacts on the medical registration form will be notified by an attending adult chaperone or a medical professional in the event of an injury requiring medical treatment. Important: There is no infirmary for your child to stay in if he/she is running a fever or experiencing other symptoms of illness. If your child comes down with an illness and is not able to participate in the program or is contagious, you will be required to come and pick him/her up. It’s a 6-hour drive each way. We will do everything in our power to make sure everyone stays healthy, but kids do occasionally get sick and we need you to be aware of the requirements. Thank you in advance for your cooperation in this matter should the occasion arise. Check the Seminar Spreadsheet to see which seminars still have space. How? Scroll right until you get to the current round (currently highlighted purple) and see the number written in the cell above the seminar name. That's how many spots there are. FULL means there's a waiting list. Go talk to the teacher of the seminar you want. Please go over it with your child and have them get ready to sign up for seminars starting later this week. We've made great headway with your help in cutting down no-shows. Please keep up the good work. The Second Seminar Round is upon us. It is important to go over this list with your student to determine which seminar dates conflict with your schedule. We have had too many students No–Show due to scheduling conflicts that should have been caught before they even signed up. We appreciate your cooperation in this matter. Students will be signing up in class starting Wednesday, 9/27. You and they will be notified via email of which seminar they received by Sunday, 10/01. The science magnet informational meeting will go over the requirements of the 7th and 8th grade magnet program. This will include grade requirements, seminar information and a brief overview of trips. Please click below to lock in your reservation. The Catalina trip will cost each student a total of $325.00. Spaces are limited! To reserve a space, sign up and pay online with a deposit, partial deposit, or a full payment. The full amount is due Oct. 13. For students in need, we offer partial scholarships or payment plans. Come by early at Back to School Night to get all the info for this years journey! 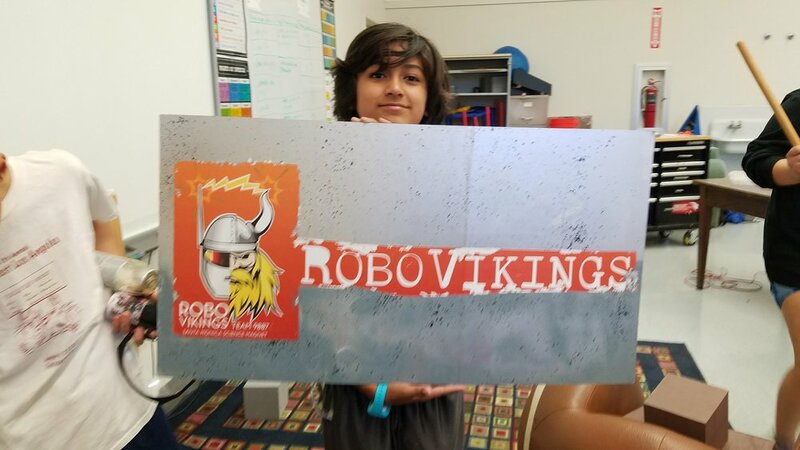 The 2017-2018 RoboVikings team held their kick-off meeting last week! If you are interested in learning about the competition process that our team is about to embark on, please click on the below link to see last years FIRST Tech Challenge Kickoff and Game Animation. SPACES ARE LIMITED!! WHEN THE CAMP FILLS, WE WILL START A WAITING LIST. The sixth grade science classes have the opportunity to attend the Catalina Island Marine Institute the weekend of October 27-29, 2017. 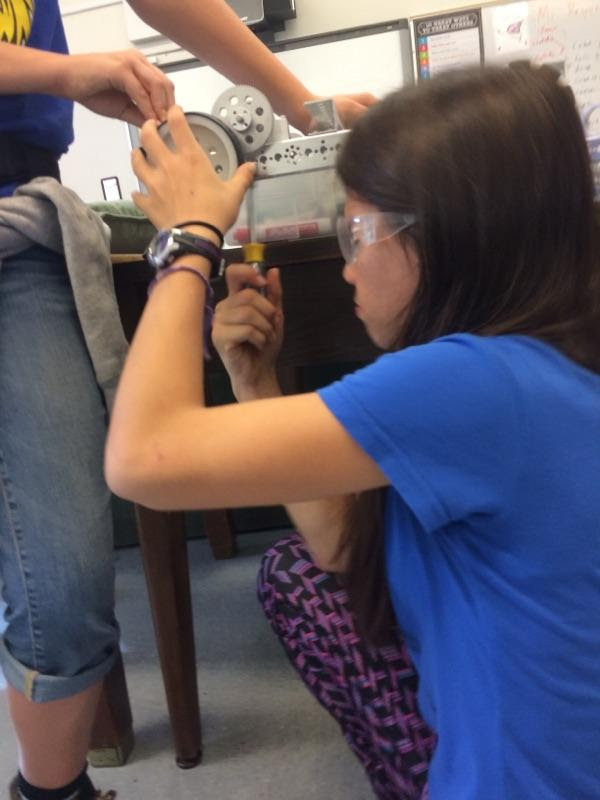 The Catalina Island Marine Institute is a science camp located in Toyon Bay on Catalina Island. Programs at the camp include snorkeling, island hikes, oceanography, marine biology, and various other field activities. Each group is lead by a trained CIMI instructor and assisted by a school chaperone. Spaces are limited! To reserve a space, sign up and pay online with a deposit, partial deposit, or a full payment. The full amount is due Oct. 13. For students in need, we offer partial scholarships or payment plans. Sign-ups will be live on this page September 1st at 10am.